Original / Genuine Motion BATKEX00L4, 4UF103450-1-T0158, Motion computing I.T.E. tablet computers T008 Battery 14.8V 4-Cell(Li-ion 14.8V 2000mAh). Fast Shipping in USA. This is a Motion BATKEX00L4, 4UF103450-1-T0158, Motion computing I.T.E. tablet computers T008 Battery 14.8V 4-Cell. 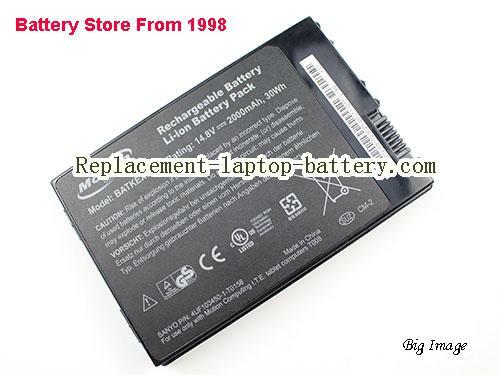 COMPUTING J3500, J3400, MOTION J3500 Laptop Battery, J3600, Motion computing I.T.E. tablet computers T008, T008. Online shopping for high quality and cheap Motion BATKEX00L4, 4UF103450-1-T0158, Motion computing I.T.E. tablet computers T008 Battery 14.8V 4-Cell. All MOTION Laptop Computer Batteries and MOTION Replacement Laptop Batteries are 30 Days Money Back, 1 year warranty.